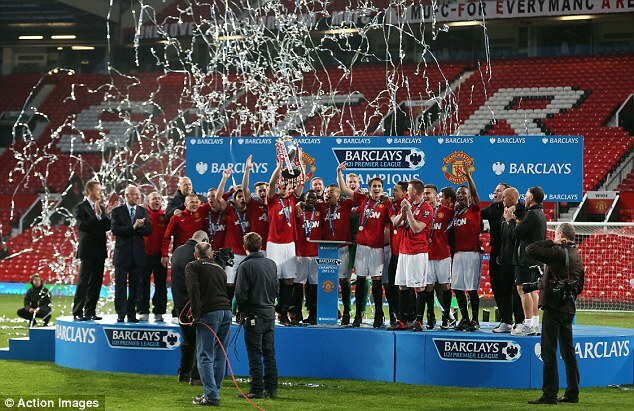 Manchester United launched a stunning comeback last night to win the Barclays Under 21 Premier League final. They came from two goals down against Tottenham Hotspur to lift the crown at Old Trafford. After winning two titles already this season – the initial group phase and elite group – Spurs were favourites for the title and looked well on course to make it a hat-trick when Jonathan Obika’s strength fired the away side in front. Obika made a strong challenge on Ben Amos, prompting complaints from the United goalkeeper who saw the ball fall to Alex Pritchard, who gave it back to Obika to calmly slot home. Spurs found themselves further ahead when provider turned goalscorer and Pritchard netted the second. Obika intercepted Ryan Tunicliffe’s wayward ball and passed to Pritchard who had the easy task of converting. Marnick Vermijl pulled one back for United at the start of the second half and Larnell Cole’s strike hit the underside of the bar and went into the net to level up the scores. It was Cole who would strike again to complete the comeback as he drilled Vermijl’s cross low into the net to complete the comeback and crown Manchester United Barclays Under 21 Premier League champions. Cole told the Daily Mail: “I’m over the moon. You can’t ask for more. The whole team has done well over the season so I’m happy. We’ve had different teams at different stages but we’ve won it two years in a row. Spurs coach Grant Hall told their official website: “To lose like that, it’s tough. “We played the way we normally play in the first half, we passed the ball, scored twice and could have been three or four up. “In the second half we dropped off too much, gave them too much time and once they scored the first goal, their tails were up and we were under the cosh.